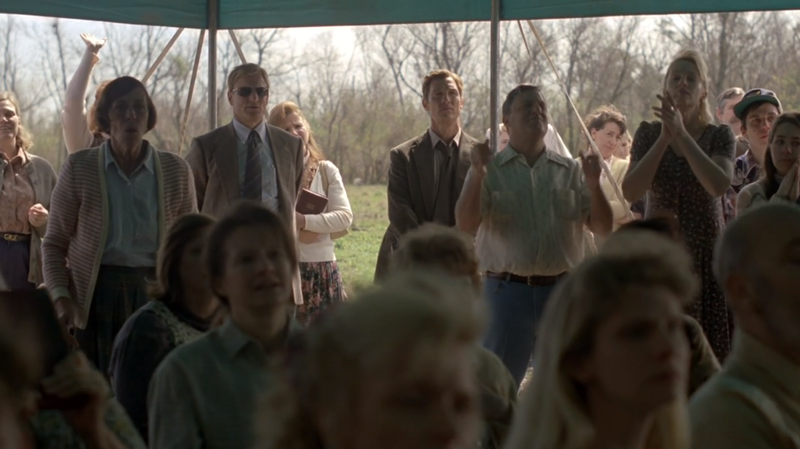 True Detective is a hard show to water cooler talk about it at this point, and we’re only three episodes in. The slow burn aspect of the show has undoubtedly claimed some casualties in viewership at this point, and those that are still intrigued with the series are left talking about character development and maybe the meaning of existence. I’m one of those people that are enjoying this slow burn. As I mentioned in last week’s review, I didn’t want it to be a mile-a-minute sort of show; that couldn’t have sustained itself while maintaining it’s quality. Instead, we’re treated to a character study each and every week, but the scope is so intimate, it’s more enjoyable as a personal pleasure rather than a group discussion experience. Right now, the only discussion I’m having with people is whether or not they’re watching. Arguably, the most captivating thing about the show is Matthew McConaughey’s performance. On the surface, it’s the most tangible thing you can call excellent on the show right now. To see him go from Point A (1995) to Point B (2012) is going to be fascinating, but his character arc doesn’t seem to be all that steep. Woody Harrelson’s Martin Hart, however, looks to be on the quick descent into self-destruction and looks to be another facet of the show that becomes brilliant. 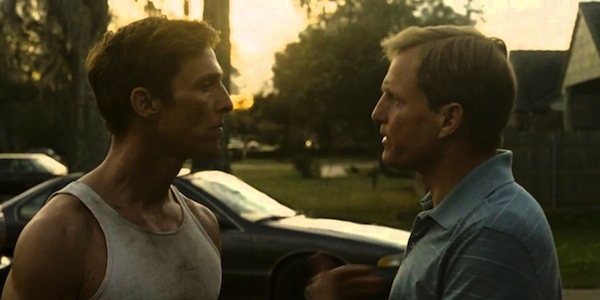 In “Locked Room” McConaughey is essentially the narrator; his character Rustin Cohle has some of the juiciest lines to date in this episode and most of it has to do with religion or his opinion of Hart’s behavior and extracurricular activities. He’s one part conscience and one part condemning force, damning Hart’s belief that his faith in religion and God makes his actions just. He’s a mirror that talks back to Hart, making him full aware of the things that he hates most about himself. It’s no more evident than in the scene when Hart comes home to find his wife and Cohle talking over some iced tea after Cohle mowed the lawn. The subtext of “You don’t mow another man’s lawn” is hardly subtext. Early on in the show, it’s obvious that Hart thinks of himself as a completely different animal than Cohle. Cohle’s a freak: he’s got no family, no furniture, no interest in women. Is Hart, though, the philanderer, the drunk, the absentee dad, any better off than Cohle is. For the two of them, it is a difference of the facades they build in order to sleep at night. Cohle, the nihilist, doesn’t pretend to be anything that he isn’t; at least not anymore. It’s possible that he was a different person back before his daughter died, but what you see with him is what you get. Hart, on the other hand, never seems to fully expose himself to anyone. He has a moment with his wife where he confesses how the idea of turning forty weighs on him; and it feels so fake. Is it true? Probably, some aspects of it, but his admission is merely to distract his wife from the fact that he’s been having an affair with a much younger woman. As for the case, the burned out church leads the two detectives to a traveling evangelical preacher, played by Shea Whigham, the actor whom plays Steve Buscemi’s brother Eli in Boardwalk Empire. It’s a fascinating performance, as each line is delivered with such charisma that I was almost ready to fork over my hard-earned money as I was watching. Luckily, television doesn’t work that way and I was able to put my wad of bills back in my pocket. Eventually, a new wrinkle emerges, as Cohle discovers that an earlier case bears a striking resemblance to the modus operandi of the killer they’re currently hunting for. True Detective is fast becoming one of my favorite shows on television and, while a bit of a slow burn, it seems like it’s on the precipice of some major happenings. Personally, a week off is going to hurt, but I foresee great things on the horizon.